Martian Quest: The Early Brackett is a collection of the twenty earliest stories by the undisputed "Queen of Space-Opera." On a Venus that never was, on a Mars that can never be (but should have been), Leigh Brackett’s early stories laid the foundation for her later classic adventures, The Sword of Rhiannon, The Nemesis from Terra, and the "Eric John Stark" series. 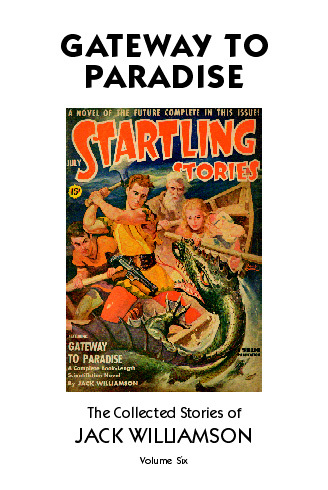 Other stories in this collection draw inspiration from such diverse sources as the lost-race novels of H. Rider Haggard, the lush fantasies of A. Merritt, and the planetary romances of Edgar Rice Burroughs. With an appreciation for Raymond Chandler and James M. Cain, Brackett’s prose is a unique display of vigorous swashbuckling adventure tempered with a harsh, hard-boiled economy. 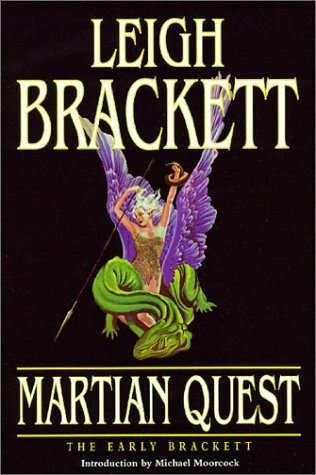 Martian Quest: The Early Brackett also features a revealing introduction by acclaimed author Michael Moorcock, recipient of the World Fantasy Award for Lifetime Achievement. ". . . Brackett's first sale, "Martian Quest," was to John Campbell at Astounding. That story and nineteen others published over the next three years in such pulps as Planet Stories, Startling Stories, Amazing Stories and Super Science Stories, 478 pages of them, are collected in Martian Quest: The Early Brackett from Haffner Press. 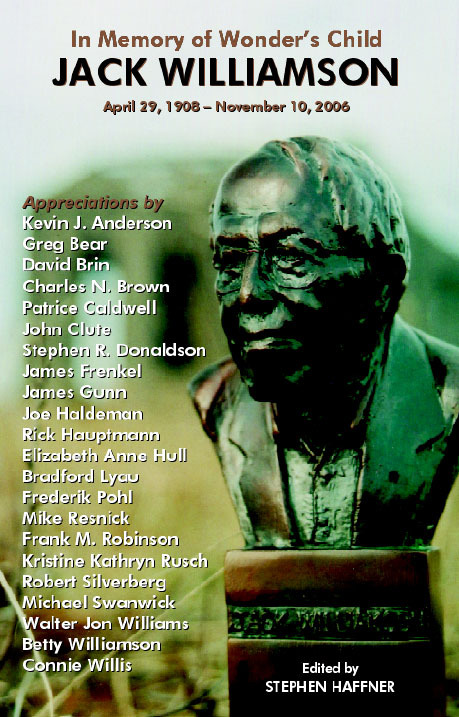 As with many true originals, much of Brackett's work, for all its seeming diversity--hardboiled, standard mystery, Westerns, high fantasy, science fiction—falls in a remarkably straight line. Here in Martian Quest are adumbrated the themes and preoccupations she'll fulfill in later work: the creation of an entire world in precis, details forthcoming. Here, too, is clear demonstration of the power, the narrative inertia that once set in motion cannot be stopped, and the genius for description that will forever be her hallmarks and heritage . . . I grew up on stories by Brackett, Kuttner, Sturgeon, and their contemporaries, moving pretty much in a straight line from pabulum to solid food to science fiction. Reading Brackett's earliest work again after all these years reminds me of the early hold science fiction had on me and causes me to consider how deeply not only my taste in literature but my very view of the world was formed by science fiction. The stories in Martian Quest and I are of an age. I limp. They don't." ". 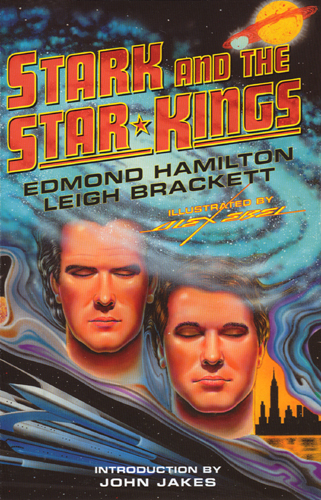 . . To read Brackett's classic space operas is to return to the mind-set of a simpler time . . . facing the dry winds of her ancient Mars and negotiating the wild marshlands of her emollient Venus is also to breathe a particulary pure air, original, unrecycled . . . Loners in desert and jungle outposts, filled with regret and an evanescent cynicism, in time provoked into resistance by inhuman invaders of fascist tyrants: Bogart in the Martian city of Barrakesh instead of mundane Casablanca: this is the pristine article. With extraordinary precision, if no especial gift for plotting, Brackett captured a late-imperial mood of simultaneous ennui and idealism; the tales in Martian Quest are absolute distillations of that mood, not a word wasted." Copyright © 2008 Haffner Press. All Rights Reserved.